“Lockwood & Co. are hired to investigate Edmund Bickerstaff, a Victorian doctor who reportedly tried to communicate with the dead, while Lucy is distracted by urgent whispers coming from the skull in a ghost jar”–Provided by publisher. I’ve only read one book in between The Screaming Staircase (#1) and The Whispering Skull (#2) so this dark and creepy alternate world was easy to be welcomed back into. In this book, we fast forward six months and discover what the teenage ghost hunters of Lockwood and Co. have been up to. I enjoyed the inclusion of the whispering skull (glowing green head trapped in a jar —>) as it kept me guessing whether it was an ally or not. Only Lucy (because of her Talent) can hear the skull, but it taunts and teases Anthony, Lucy and George to no end! This is very amusing for the reader. Obviously, the title of the book hints of the skull’s importance in the book, but you’ll have to read The Whispering Skull to find out just how! While I did enjoy The Whispering Skull, I wish Stroud would have included more info regarding The Problem. I thought the world building and background was super interesting in book #1, and that we’d learn more in book #2. I also found myself wanting more horror scenes as the first book. This one is more of a mystery/adventure, featuring a competition between ghost-hunting agencies to find stolen powerful and supernatural artefacts. Don’t get me wrong- there is ghost rats, talking skulls and plenty of creepy scenes to scare a brave reader! There is also a HUGE cliff-hanger that will likely unravel some of Lockwood’s past secrets. So, although The Whispering Skull did not engage me as much as The Screaming Staircase, I will likely continue on with book #3 The Hollow Boy. Midnight Gulch used to be a magical place, a town where people could sing up thunderstorms and dance up sunflowers. But that was long ago, before a curse drove the magic away. Twelve-year-old Felicity knows all about things like that; her nomadic mother is cursed with a wandering heart. But when she arrives in Midnight Gulch, Felicity thinks her luck’s about to change. A “word collector,” Felicity sees words everywhere—shining above strangers, tucked into church eves, and tangled up her dog’s floppy ears—but Midnight Gulch is the first place she’s ever seen the word “home.” And then there’s Jonah, a mysterious, spiky-haired do-gooder who shimmers with words Felicity’s never seen before, words that make Felicity’s heart beat a little faster. Felicity wants to stay in Midnight Gulch more than anything, but first, she’ll need to figure out how to bring back the magic, breaking the spell that’s been cast over the town . . . and her mother’s broken heart. A Snicker of Magic had been sitting on my ‘to read’ shelf for a while. As a librarian, and lover of words, I immediately fell for this charming middle grade read. Set in the magical town of Midnight Gulch, Tennessee, readers are introduced to a variety of quirky characters. I found it hard to keep track of the cast of characters, as they were mostly introduced with a long back story. Besides the excess characters, one very special little lady stood out; the narrator, 12 year-old Felicity Pickle. I could relate to her love of words and social anxiety. She explains, “… I like words; I collect them. I like poems, songs, stories…everything. But words never sound right when I try to string them together and say them out load. They’re just for me to keep (p.38)”. Felicity sees words, and they appear in a variety of different ways. My favourite was for ‘believe’- “The letters were made of melted sunshine. They dropped down the window glass, warm and tingly against our faces (pg.8)”.Although I enjoyed her visions of hovering words, I got irritated with the overuse of her word ‘spindiddly’ (better than awesome). A guilty conscience pushes fifteen year old Zoe to seek a pen pal that understands her situation. In her mind, Stuart Harris (an inmate on death row), is the perfect choice because they are both responsible for the death of a loved one. The entire story is told in letter form, but since ‘Zoe’ uses a fake name and address, we never see Stuart’s replies. One has to wonder if he even received the letters, and if so, what his response would be. We watch as Zoe starts off formally, addressing him with ‘Dear Mr. S. Harris’, and as the letter progresses, ‘Hey there, Stu’. She writes these letters from a shed where her only company is a lone spider. The author did a brilliant job at keeping the reader guessing Zoe’s terrible secret. There are clues throughout; hinting at the tragic death of one of the two brothers Zoe has feelings for. It’s a sad ending for all involved. My biggest critique is the title. 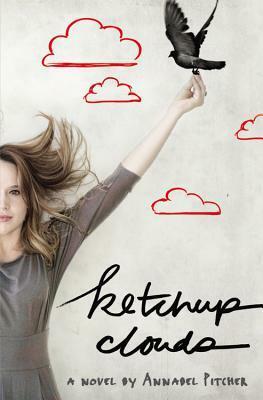 Although Ketchup Clouds is a catchy title, I’m not sure what it has to do with the story (besides Zoe’s sister drawing clouds in ketchup). Maybe there was some deeper meaning that I missed? Thoughts? Overall, Ketchup Clouds is a sad story about love, family, murder and secrets. Due to some explicit sexual content, I would recommend this book to older YA readers. 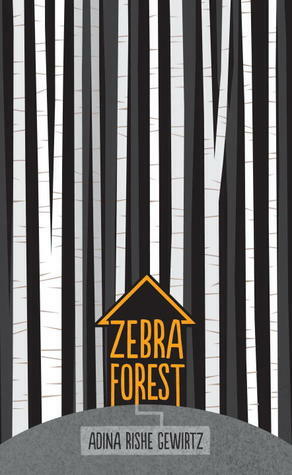 Zebra Forest is a short, beautifully written story about family, secrets, love and forgiveness for mature middle grade readers. Eleven year old Annie, and her nine year old brother Rew live with their depressed grandmother in a cluttered house among the birches and oaks of the ‘Zebra Forest’. Although Annie was expecting a dull, unadventurous summer, her life was turned upside down when an escaped prisoner from the nearby prison holds them hostage. This book is for readers that love character driven stories. Early on, it becomes evident that Annie and Rew are extremely resilient kids forced to grow up and take care of themselves as their grandma becomes less and less stable and reliable. Throw in heavy family issues and a surprise they never saw coming, it is no wonder they turned to literature (specifically Treasure Island) as a means of comfort and escape. Obviously, as a librarian, I loved this connection to the power of reading and storytelling.